Nino’s Fresh Cut Fruit & Veg. 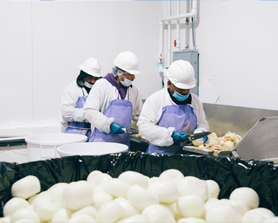 has been processing and delivering high quality produce just the way our customers want it. Whether its sliced, diced, minced, wedged, or however you need it cut, you can always count on Nino’s to deliver.